Disney announced that four different live-action series featuring Marvel comic superheroes will film in NYC and be streamed on Netflix. At least 60 episodes of the new shows, each based on a different comic book character, will be shot on the city’s streets. The series will focus on Marvel’s Daredevil, Jessica Jones, Luke Cage and Iron Fist and will begin filming this summer to debut in 2015. I don’t know who is more excited for this news, Tablettoddlers’ dad or kids — all old and new Star Wars: The Clone Wars episodes will be available via Netflix beginning March 7. If you are a fan, watch this video and tell me how you can’t possibly be fired up! Disney has launched movie streaming service Disney Movies Anywhere just in time for the digital release of Frozen. Read the full article from the Hollywood Reporter here. 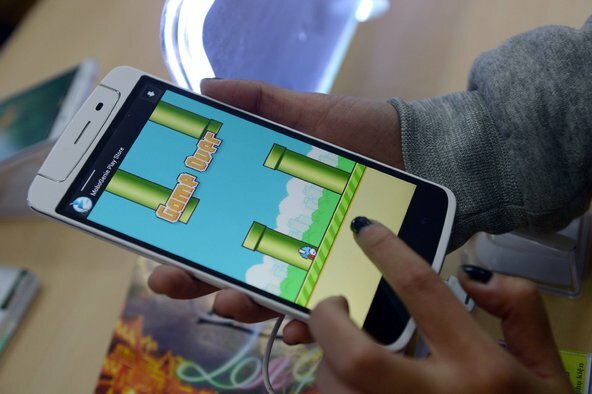 According to this NY Times article, researchers are studying the qualities that make video games like Flappy Bird hard to put down, in order to build games that improve memory or other functions or even treat disorders. This week is National Engineers Week. At Comcast, it’s a time for us to celebrate what engineers do, to help create awareness about the growing need for engineering innovation and to help bring engineering to life for kids, educators and parents. This week, my engineering colleagues and I had the opportunity to host a group of 20 students from Stemnasium Learning Academy at the Comcast Center. STEMNASIUM LEARNING Academy is an amazing program that offers students in the Philadelphia area greater exposure of the STEM (Science, Technology, Engineering and Math) disciplines. These dedicated STEM scholars apply themselves every Saturday in order to realize their goals of becoming scientists, engineers, technologists and/or mathematicians. During their visit, the students were able to meet with Comcast engineers and software developers and ask them questions about the work they do. The students also gave us a sneak peek at a mobile app developed by six of their STEMNASIUM LEARNING Academy classmates who range in age from 2nd to 6th grade. That’s right. These children – all of them under 13 years old – have created an application that will be available in the Apple and Android stores in the coming weeks. Talk about impressive. When I was their age, I was focused on being a kid and doing regular kid things, and these students are developing code that will have value to a global market. And this is exactly one of the reasons we celebrate National Engineers Week. Over the next five years, STEM jobs are expected to grow twice as fast as jobs in other areas. However, here in the United States, we’re seeing far too few college and university students graduating with STEM degrees to keep up with that demand. That’s why organizations like STEMNASIUM LEARNING Academy are so important. And at Comcast, we recognize and share their commitment to develop and nurture interest in STEM. Since Fall 2002, online enrollment as a percentage of total college enrollment has grown 233%. Online classes now provide access to higher education opportunities to a growing number of people around the world. However, students without proper access to internet and communication technologies are being left behind as the digital divide continues to grow. 119 million Americans still lack broadband internet access while education experts agree that access is becoming critical to higher education. According to the infographic, although internet availability is improving at rapid rates, there are still many left behind without even basic access to broadband services. Heavy reliance on internet technologies for everyday communication, education, and work is reality in today’s world. Those without access face being further behind in these basic skills. to support the growing initiative to improve digital literacy. Remember LeVar Burton and Reading Rainbow? It’s now a free reading app that gives you access to limitless children books through a subscription service. Available for iPad and Kindle, it’s a great way to get your children interested in eBooks without investing in various titles and classic Reading Rainbow video field trips. Parents can sign their child up for $9.99 per month or $29.99 for six months.